Mark Pincus is a successful dude. A really successful dude. And a large part of that success comes from the time-sucking, highly-addictive games Zynga produces for Facebook, other social networking platforms, and mobile devices. 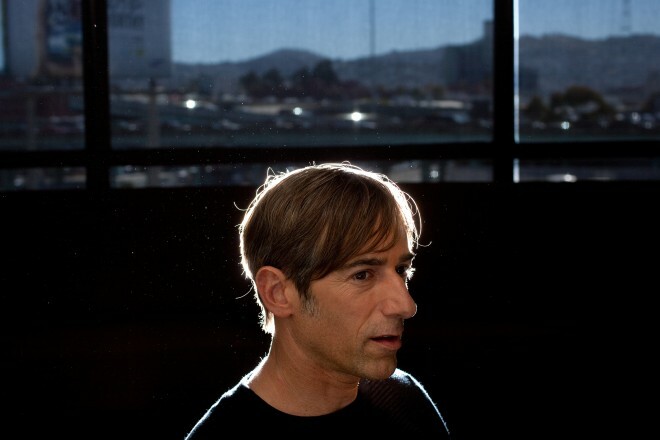 In a recent interview with Wired, Pincus discusses some of the root philosophies behind his success. And several of them seem highly relevant to the world of education reform. Catalyst versus cannibal. Opportunity for change versus opportunity to consume human flesh. We have so much technology in our classrooms sitting in our students’ pockets. Yet, because schools as a whole have yet to embrace teaching digital citizenship and expanding its definition beyond the computer to mobile devices, we fear them. Schools ban them. Teachers collect them. I’ve even passed around the cell phone bucket, myself, and gotten into a gnarly argument with a student over allegedly “emergency” calls from her mom that looked suspiciously like texts from her best friend with a free period. Paradigm shift. Cell phones are opportunities. Facebook and social networks are opportunities. They must be wielded carefully like any powerful tool. To see how “Facebook” thinking can be a powerful way to approach learning design, take a look at Lore, my preferred content management system (CMS). I’ll be devoting a post to it in the near future. Unlike the unwieldy, archaic-looking Blackboard, or the gross DIY aesthetic of Moodle, Lore is crisp, clean, and dareIsay, hip. Hear this, world of education and gatekeepers to that world: we have to change. Or change will come crashing down on us in ways we would rather not. Pincus’ comments are contextualized around the relationship between Zynga’s games and the juggernaut of console-based gaming, Electronic Arts’ Madden football franchise. That game has not seen dramatic changes — just tweaks and largely aesthetic updates — in the past ten years. Zynga took a whole different approach to getting a user base and has been wildly successful. Technology has changed. The booklists have changed. Most of the strategies and ways we measure student achievement have not however. There are some big disruptors out there: project based learning, standards based assessment, mass customized learning. The pedagogy underneath each of these paradigms is awesome. What troubles me? The bean counters and policy makers continue to use ancient forms of measurement to decide whether or not “schools are working.” High stakes, standardized testing, based on student performance on a single day, in a single room, with a single test. Folks, that’s where the disruption needs to happen. We need to get policies in place that make those numbers only one part of the reported story, in a place where those numbers must be placed within context and alongside other measurable, observable student data. Government’s management of education hasn’t evolved. To be crass and the bastardizing son of Sheldon Leonard, let’s Zynga the crap out of it. We can argue whether there’s bubbles and whether this thing is valued too high or too low. But that’s all noise. You have to keep pulling the lens back until you get real perspective. And when you really pull the lens back, you realize that we’re living in a historical moment. We’re too close to it to realize it, but the real story is we are all becoming massively more productive. Every new service that’s great can get to a massive, billion-person market faster. You now at your fingertips could be either getting entertainment, getting work done, connecting with people. And ten years ago you didn’t have that. Pull that lens back on some of the reforms and initiatives going on right now in education. Mass customized learning, project-based learning, standards-based assessment, mode-median-means grade books, Common Core, differentiation, digital citizenship, metacognition, content literacy. How can all of this happen at once? We have the resources to do it all at once. Technology empowers us to work more efficiently, to communicate more effectively, and to make change happen more rapidly than ever before. We need to take another look a Shirky’s Cognitive Surplus, Pink’s Drive, and Dweck’s Mindset in order to make sure we make the most of the opportunities we have, but they are there. How can education change happen in grander, more effective fashion than it has thus far? I submit to you that we have done a wholesale exclusion of an incredible production studio: the classroom. I’m excited about our tenth grade independent project based customized learning pilot “thing” happening this fall, less because it is a new project, less because it is cross-curricular, less because it is different from anything we have ever done before, and much, much, much more because it came from the students. They are the ones making it happen. They will be the ones doing the bulk of the documentation. I wondered on Twitter today what would happen if our students were innovating in the classroom? What if our high schools and technical education centers were able to teach students the coding necessary to build mobile apps? To engineer sustainable energy systems? To create engaging web-based educational content? Quizlet, Napster, and Facebook were birthed from teenagers. Why can we not harness that power before it goes IPO? This entry was posted in Cross-Pollination, Evolving Education, Nerding & Learning, Technology Integration, Uncategorized and tagged 10 IPBL, Blog, cross-curricular, cross-pollination, customized learning, Dan Ryder, Dweck, Education, gamification, gaming, learning, Maine, Pincus, Pink, school reform, Shirky, student empowerment, technology in education, thinking, WDL, Wicked Decent Learning, Wired, Zynga by Dan Ryder. Bookmark the permalink.